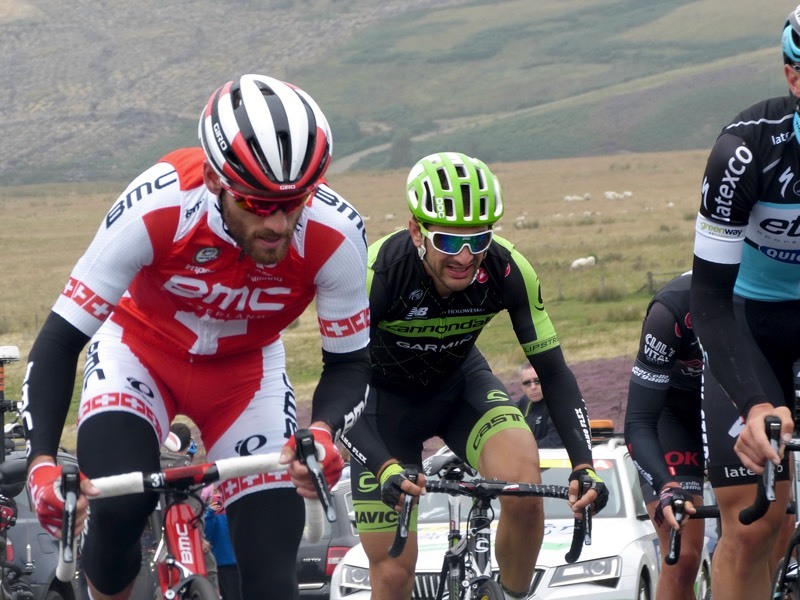 The Tour of Britain came through our patch this month, so loads of us wound our way up to meet on the hill. It was baltic (i.e. cold), waiting on the windy hillside, but good fun anyway. 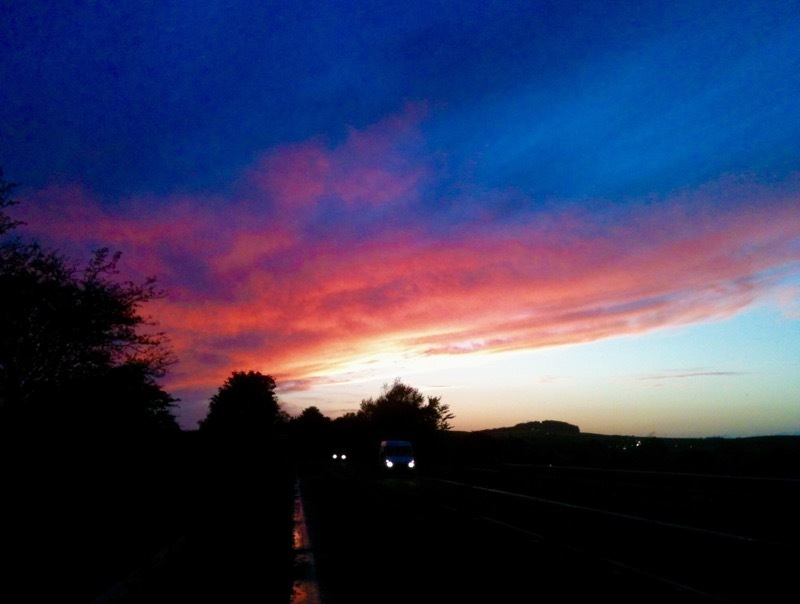 As the race appeared in the distance I tried to unfreeze my wooden fingers, without success. As usual the race was through in a minute or less. I’ve finally managed to sort out the video. I recorded the music(?) on a midi guitar so no pianos, harps, synthesisers or other instruments were harmed in the making. 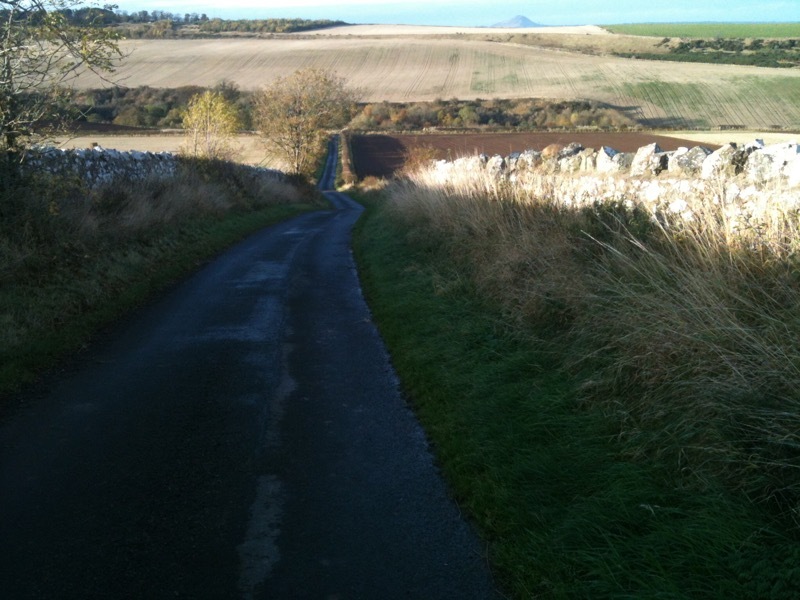 This entry was posted in 2015, Cycling, East Lothian, Fossil cyclist, hills, Lammermuirs, Tour of Britain and tagged 2015, bike, climb, cycling, East Lothian, fossil cyclist, hill, KOM, Lammermuirs, racing bicycles, Redstone Rigg, Tour of Britain on September 29, 2015 by fossilcyclist. 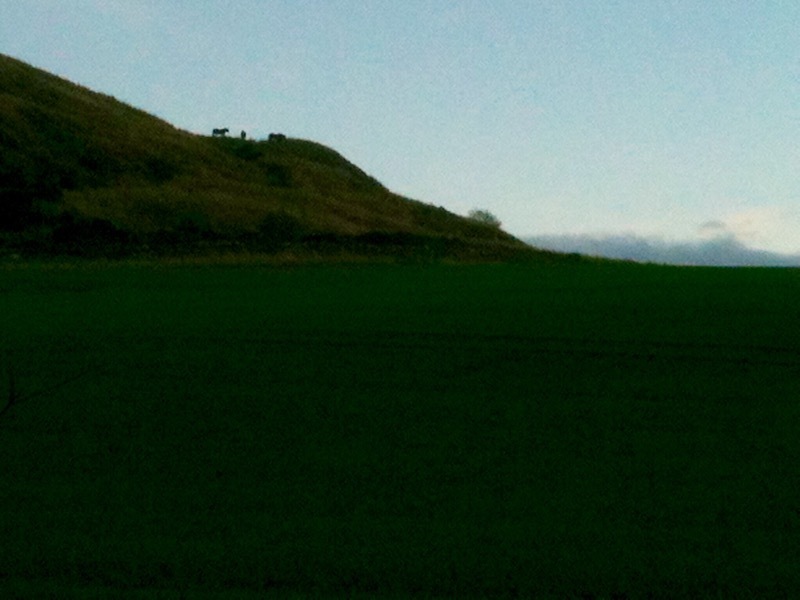 I’ve been biking over our local hills a bit recently. 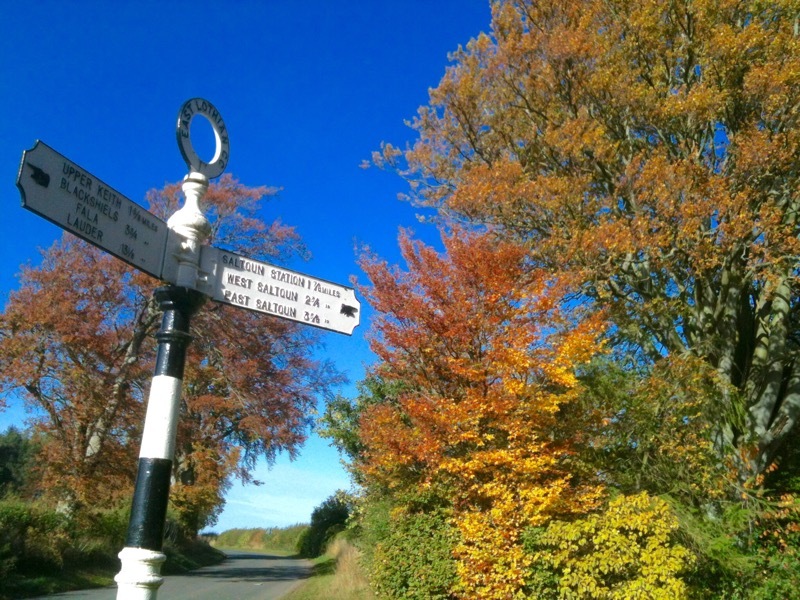 Usually this entails some steep climbs and a minimum of 3,000 feet of climbing. It’s been magic but hard going, tempered by fabulous descents. 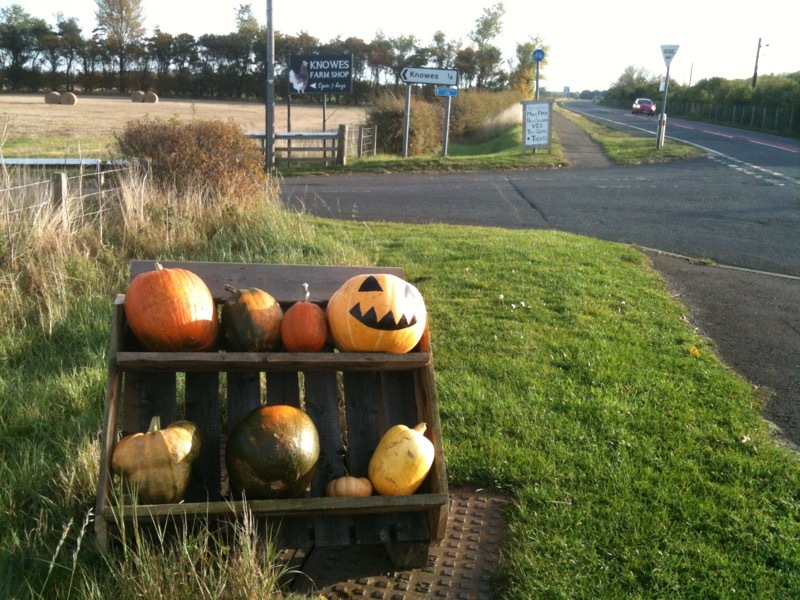 The roads are a bit rough and gravelly in places, so a bit of caution is required. The wildlife has been a bit manic as well, not sure if it’s the youngsters being a bit hung ho, or just that’s the way it is. But there is a dangerous side to all this. A pal a wee while back had a pheasant try to run through his front wheel while on a group ride. He was barreling along downhill at over 35 mph when the bird ran out in front of the group, dashed back into the hedgerow then swung but out again. The bike stopped dead, Eric catapulted over the front and broke his hip and the bike’s forks were broken. 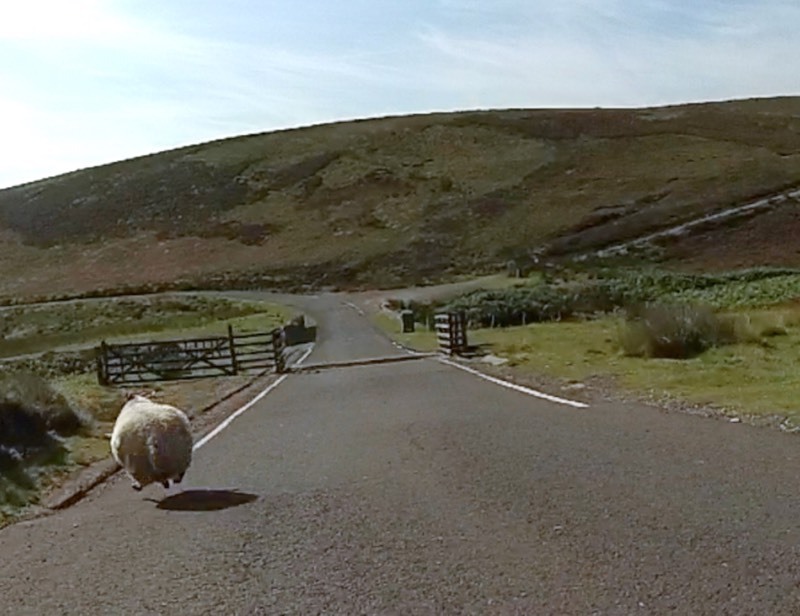 Then last week another pal was coming down off the hills, I would imagine going pretty fast. 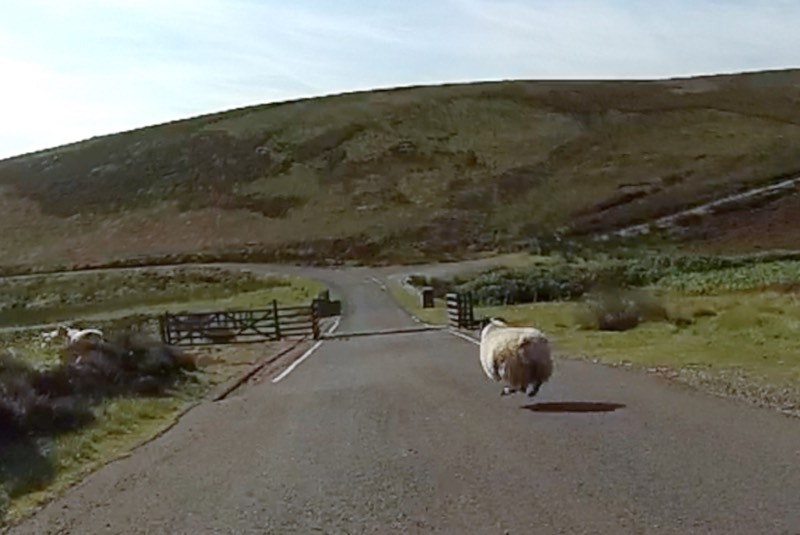 This time it was a sheep that dashed out. After his abrupt stop and sumersault he is now recovering from a broken elbow and arm, so a few weeks off the bike. It’s dangerous in them there hills! My encounters have been luckier. Some roe deer hopped out in front, but I managed to slow down and let them caper about for a while before they disappeared into the undergrowth. Various pheasant, grouse and partridge have threatened to try to bring their lives to an end, all thwarted by a bit of caution. The worst have been the sheep, running harum scarum all over the place. 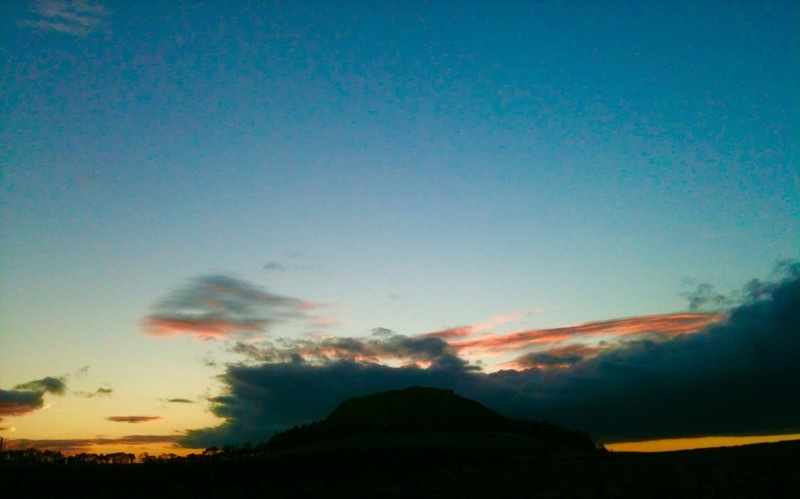 I took a sports cam with me on one of our trips to make a wee vid of a journey over the hills. At the moment it is too long (15 minutes) and I haven’t done the music so it’s not ready to inflict it on you all yet. 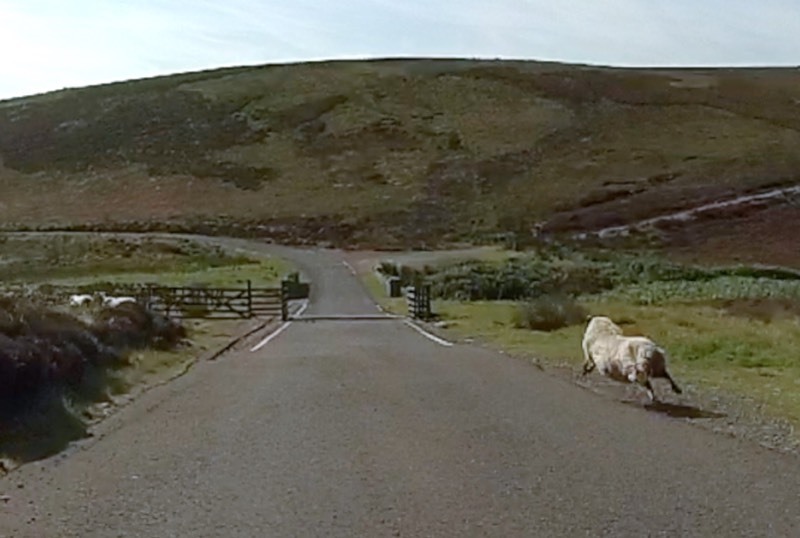 One of the shots was a sheep running out in front of me on a fast downhill section. It looks incredibly close on the video, but I had seen it and it didn’t feel anything like as bad in reality. 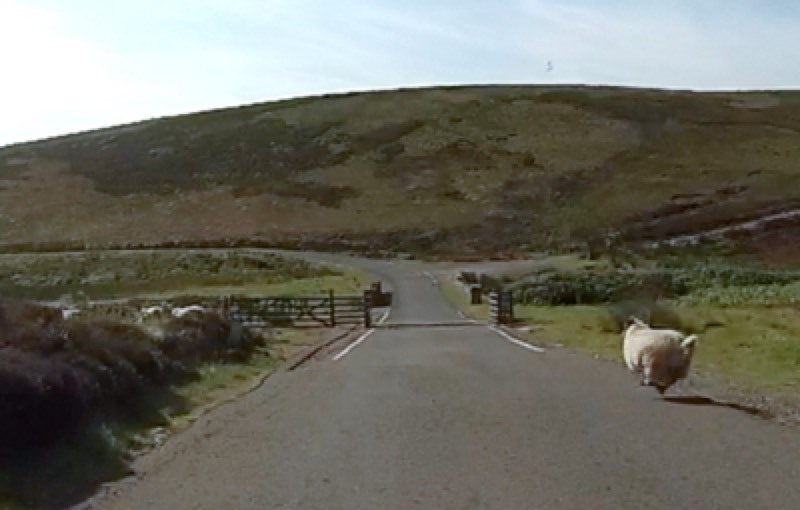 When I was editing that section of the video I noticed when I looked at the still, the sheep was levitating across the road, so maybe hover biking is the way to go? 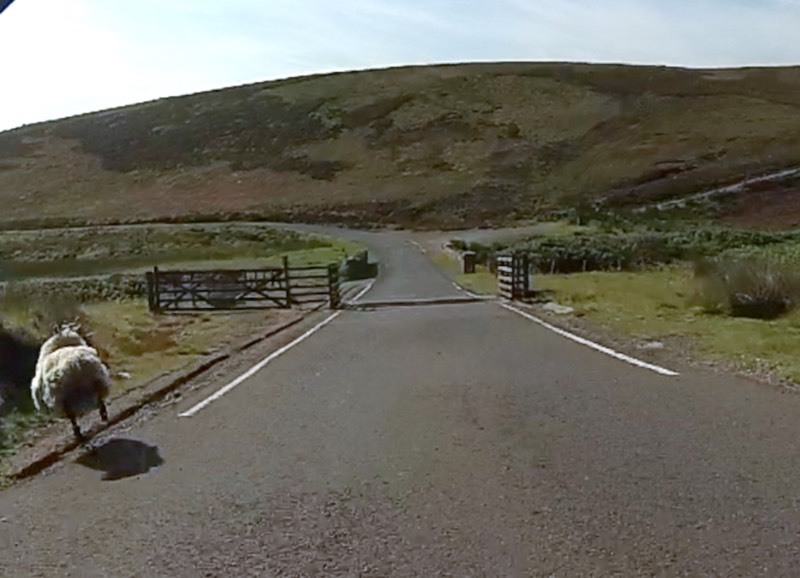 This entry was posted in East Lothian, Fossil cyclist, hills, Lammermuirs, Scotland, speed, steep, wildlife and tagged accident, Breakfast, hills, sheep, speed, steep, wildlife on August 23, 2015 by fossilcyclist.